Pets are wonderful creatures that can show the greatest humanity at times when our fellow humans may be lacking. We find these friends to be so sensitive and loyal that the description of animal does not do them justice. In China, all tea connoisseurs and enthusiasts who use the Gong Fu Cha to prepare their brew have one or more “tea pets”. 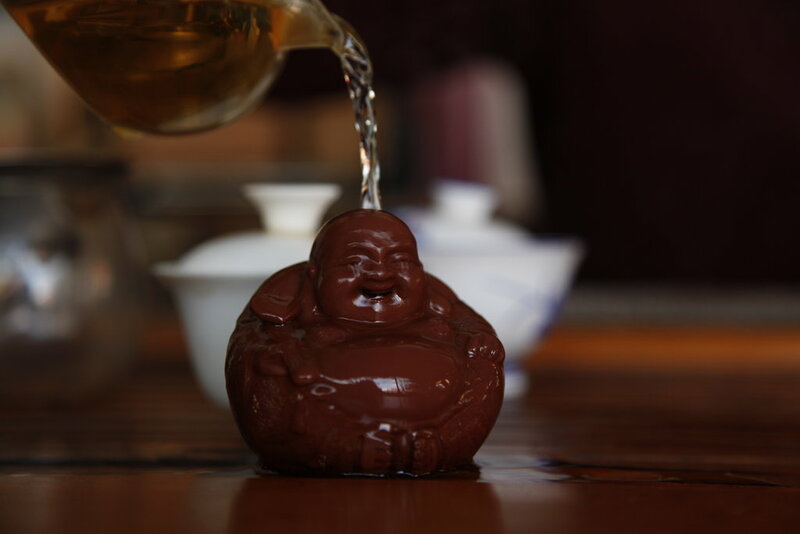 The tea pet is a terracotta figurine placed on the tea boat, over which tea is poured from time to time, to share special moments with it. Over the years the figurine acquires a patina through repeated dousing. The tea pet can be an animal or a human figure, as seen here. A tea pet, or company being, shares your day-to-day life. Like other pets, it is always in an agreeable mood and is good at listening. You know where to find it. It is always there for you, loyal and happy. Sometimes I’m asked to taste some very good teas, before being served others that don’t interest me at all – broken-leaf teas, for example. I taste them unenthusiastically and move on as quickly as possible. If the light is good and the place interesting, I like to play around with my camera while my host finishes the tasting. 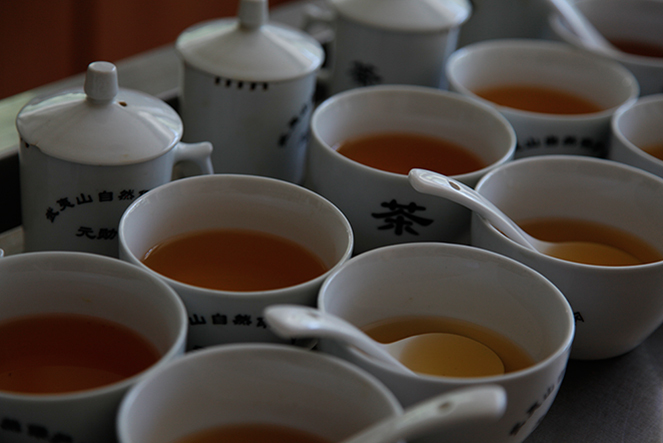 I experiment with the settings on my EOS5D as a way of commenting on the quality of teas in front of me. I distort the teas I don’t like – I overexpose them, as I’ve done here. I subvert reality, I frame the shots differently; I’m not interested in these overly black liquors, these broken leaves that develop a dreadful astringency and are devoid of any subtlety. I prefer to create something interesting with my toy, while my puzzled host looks on – he’d rather I got on with tasting and took fewer photos. I spend a good deal of my time training people. 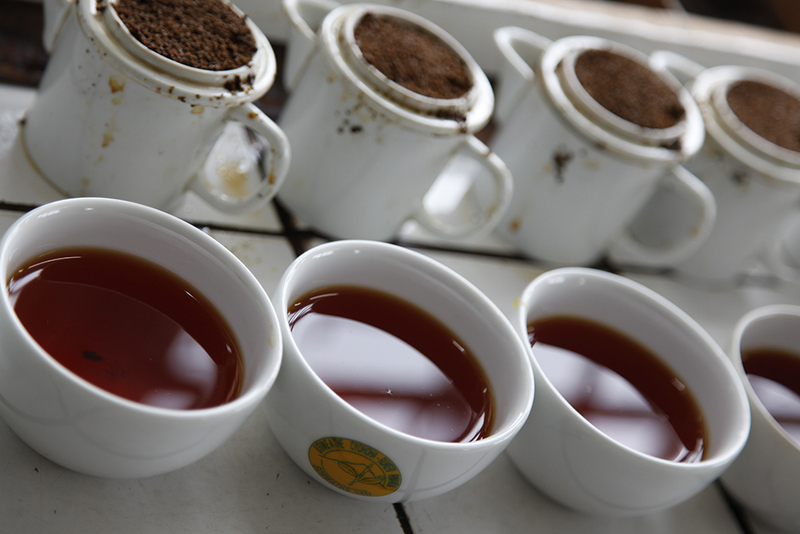 Between tea tasting sessions, between trips abroad, I invite colleagues or students to join me at my tasting table. For me, it’s important to impart knowledge to my colleagues, and share with them what I’ve been lucky enough to learn on my distant adventures. 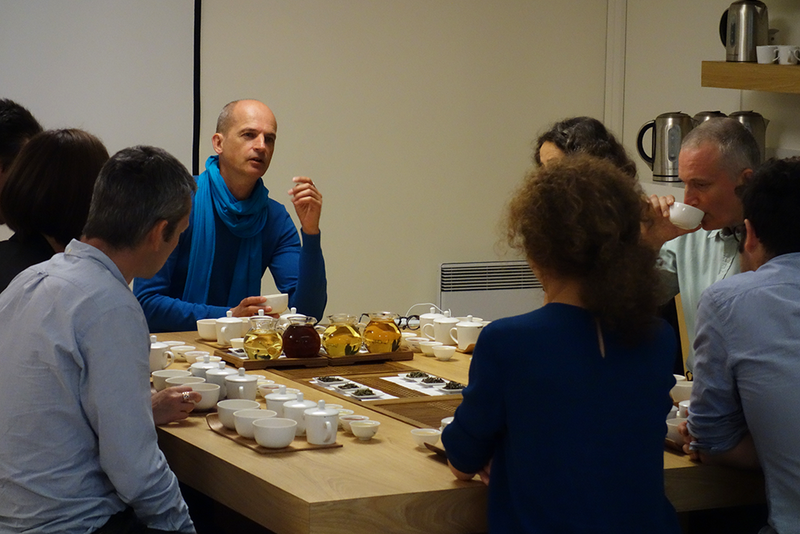 Tastings are an opportunity for plenty of conversation, about the quality of the teas, and their organoleptic profiles (touch, aromas, flavours). We talk about how the different sensations interact and complement one another. 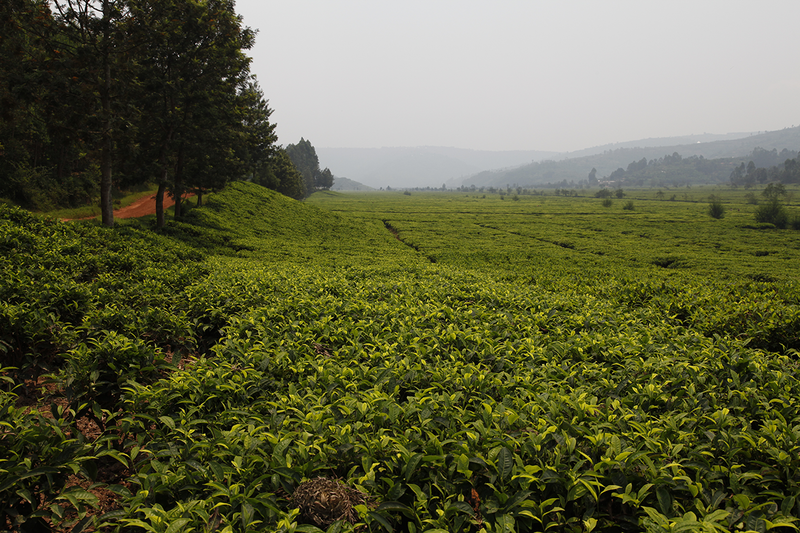 And because I’m lucky enough to spend a lot of time in the places where tea is produced, the discussion moves on to the broader subject of how teas are made, and to the many aspects of the incredible world and culture of tea. You know how they are, tea drinkers – they can be obsessive. They save a special teapot for a particular tea, they infuse some teas for exactly three minutes and 45 seconds in water at 85°C, others for just two minutes in water at a maximum temperature of 60°C. So this photo I took in Kolkata makes me smile. Firstly, because I really enjoy drinking chai when I’m in India. Secondly, because all the tea-drinker’s principles have gone out of the window here. 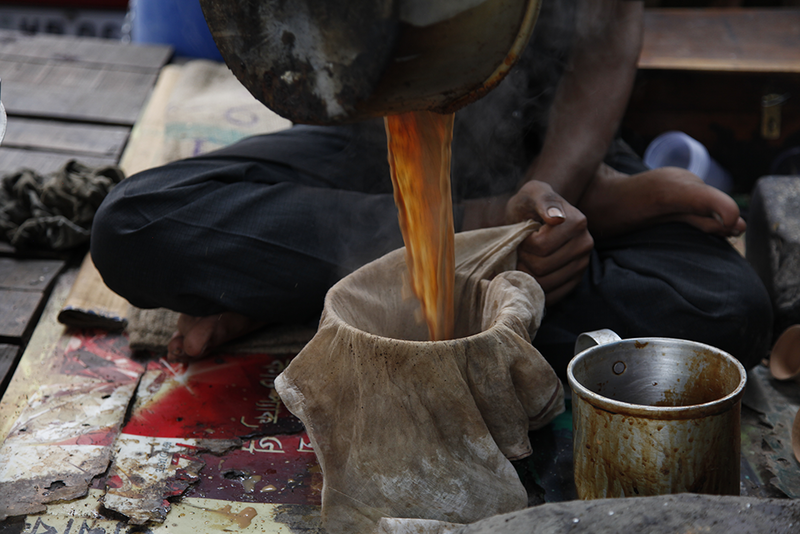 This chai wallah boils up his water, puts milk in his tea, adds a load of spices and works in basic conditions, seated on a scrap of cardboard placed on the pavement, without fanfare. And that’s what tea is about, too: simply made, with care, and an absolutely delicious drink in a cup. Chai is great! 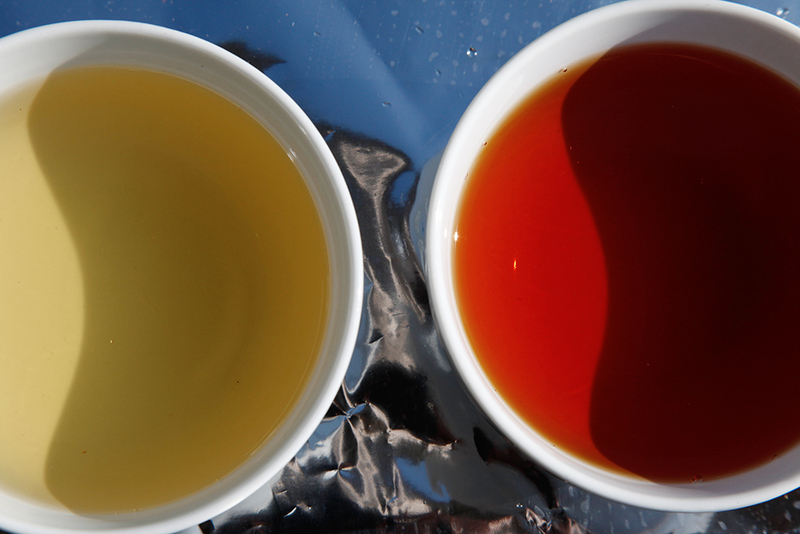 Three senses come into play when we drink tea and analyse the liquor: taste, which focuses on flavours (sweet, salty, acidic, bitter, umami, etc. 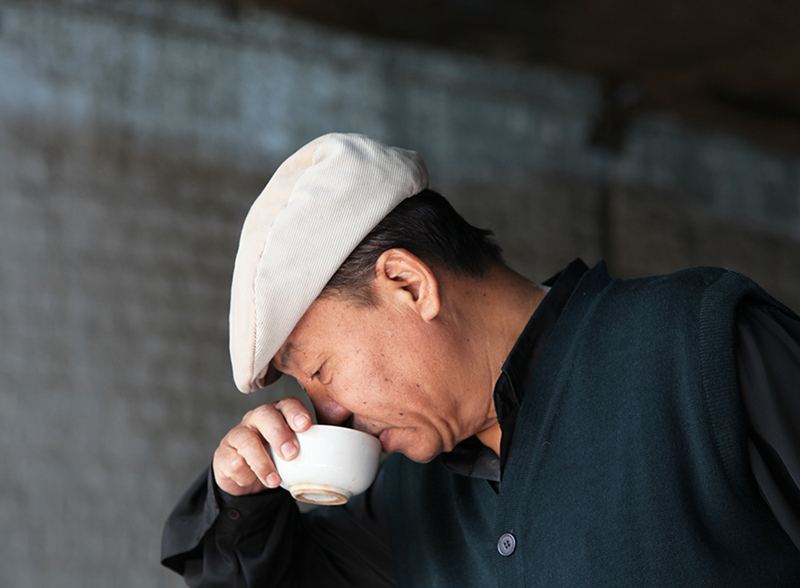 ), smell – made more effective through retro-nasal olfaction (a technique that consists of exhaling through the nose, bringing more olfactory molecules into the retro-nasal cavity) – and touch, which of course tells us whether the tea is hot or cold, astringent or silky, and other sensations. 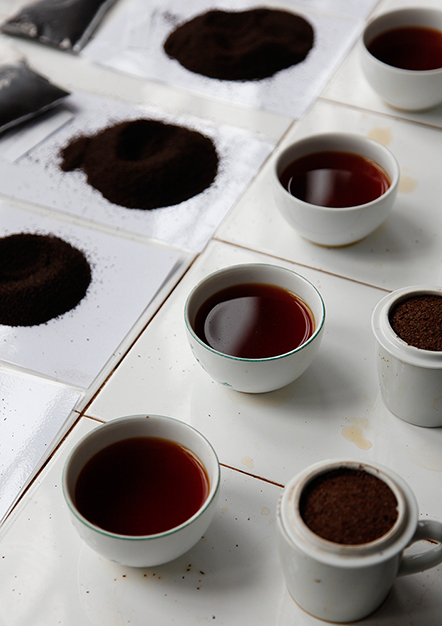 If we want to describe a tea, it is essential to understand about flavours, olfactory notes and touch. It helps us when we taste together, so we can share our impressions. When I give a lesson at The Tea School, or when I arrange a tasting for colleagues, one of the first things I do is to ask them a very simple question: once you have put food in your mouth, how many senses are in contact with this food, and which ones? The answers always vary. Now, to taste properly – and this goes for any food – it is essential to understand which senses come into play, and then to build up the appropriate vocabulary. 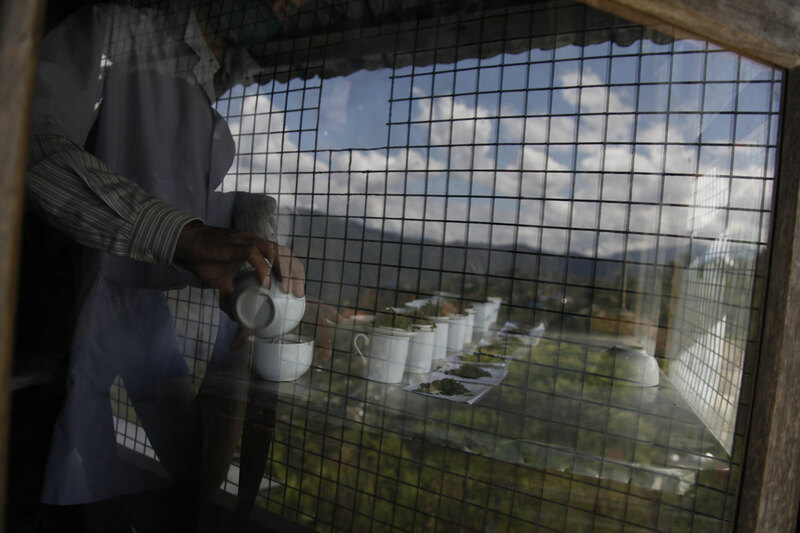 In some regions of Sri Lanka, they produce a tea that is so fine, so broken, so black, it is undrinkable. Or else you have to add milk and sugar, or dilute it with water.